Edward “Eddie” Sabat is a professional player who had his first live-event cash in 2007. In the first 4 years, Eddie cashed 21 times, made 6 final tables, made the money in 7 WSOP events, won the 2008 APPT Macau, and earned over $960,000. Born in 1986 in Southern California, Eddie was introduced to poker when he was 16 by his older brother who taught him how to play. He played poker while obtaining his accounting degree at the University of Southern California. After graduating USC, he decided to pursue poker full time. Since then, he has been entering live events with the money he earns in the cash games at the Commerce Casino in Los Angeles. Eddie made his first live-event cash in December 2007, when he was runner-up in the $300 NLHE to earn $29,757 at the WSOP Circuit event in Atlantic City. In January 2008, he cashed twice at the WSOP Circuit Harrah\\\’s Rincon, including a 3rd-place finish in the $5,000 NLHE Championship Event to earn $70,680. Eddie then cashed at the L.A. Poker Classic, and took 20th for $27,455 in the $9,700 NLHE Main Event at the WPT Foxwoods Poker Classic, before cashing twice at the WSOP. At the 2008 WSOP, Eddie finished 24th in the $1,500 NLHE for $16,032, and cashed in the $2,000 NLHE for $5,060. He finished in the money at the Latin American Poker Tour Punta del Este, before winning his first event. 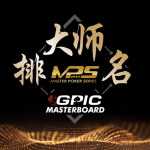 Playing online at PokerStars, Eddie qualified for the Main Event at the APPT Macau where, at 22 years old, he became the youngest player to ever make the final table. After a grueling 12 hour battle, Eddie won the HK$25,000 NLHE Main Event to take home the title and HK$3,540,040. His other cash that year was at the APPT Sydney Big Game Poker Championships. In 2009, Eddie cashed at the PokerStars Caribbean Adventure (PCA), and at the Doyle Brunson Five Diamond World Poker Classic. In 2010, he cashed twice at the WSOP, and took 6th in the A$6,000 NLHE Main Event at the APPT Sydney to earn A$79,765. As of November, Eddie had cashed 6 times in 2011. To start the year, he finished 30th in the $10,000 NLHE Main Event at the PCA for $66,000, and cashed at the WSOP Circuit Harrah’s Rincon. At the 2011 WSOP, he cashed 3 times, with his best effort being a 5th place finish in the $2,500 NLHE for which he earned $160,949. In October, he was at the EPT/UKIPT London where he cashed in the £2,000 NLHE Turbo Bounty event. When he takes a break from poker, Eddie enjoys hanging out with friends and family, playing 9-ball pool and table tennis, watching movies, and bowling. He also enjoys meeting new people, which he has plenty of opportunities to do when he plays poker.